So excited! Here it is! 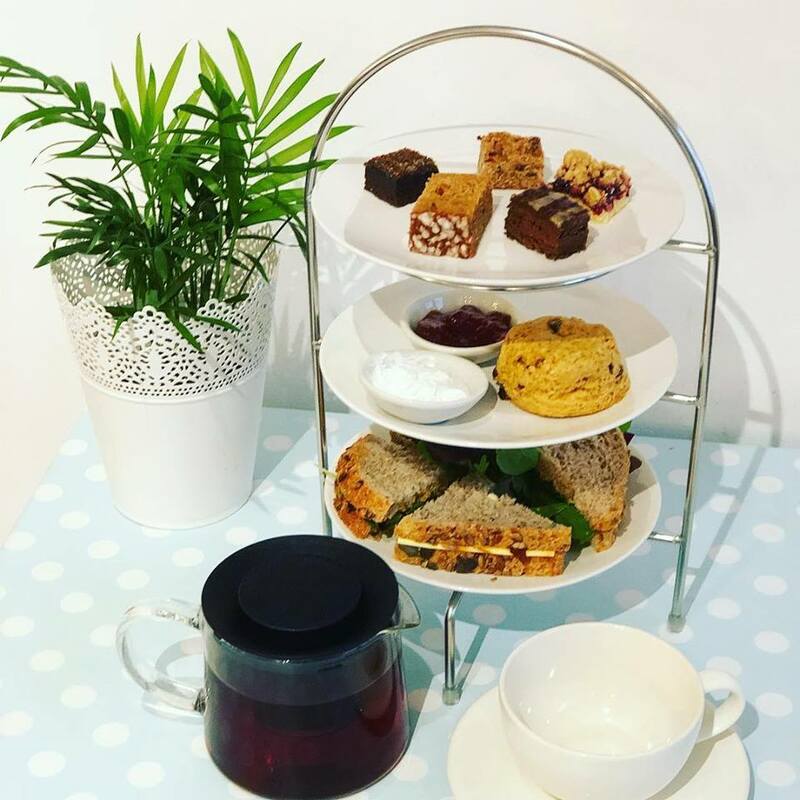 Our fully vegan afternoon tea! Why not treat yourself and swap out the tea for a lovely glass of vegan Prosecco! New Vegan Cafe OPEN NOW at Chapel Arts in central Bath! Delicious food, amazing cake, organic coffee and fresh juices & smoothies! So, it’s true. Dreams CAN come true! This day is the culmination of years of dreaming and months of hard work and it’s finally here. Today is for our dear, dear friends who suffer cruelty, torture and murder every day in the name of profit and greed. We want to help change the world. We want people to see that there is a better way where compassion and kindness to all living things can be a reality. We want to show that being plant-powered is awesome and the healthiest way to live. We want to prove that plant-based food is amazing, tasty and not a sacrifice. We want our customers to become our friends and join us in changing the world. Can’t wait to meet you! !